industrial and harsh environmental applications. FlashPoll is designed to optimize communication links where high speed or unlimited number of drops is necessary. 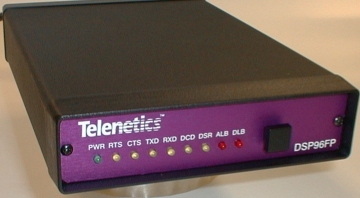 Ideal for SCADA, traffic and the oil industries, the Telenetics FIashPoll DSP9600 is a cost-effective, full-featured fast poll, leased line modem with the fastest training time in the industry: 23msec RTS/CTS delay. 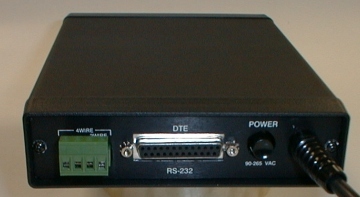 The 23msec RTS/CTS training time allows multipoint fast polling of dedicated line Remote Terminal Units (RTU) to upgrade their speeds from the Bell 202T modems at 0-1800 bps to 9600 bps in point-to-point or multipoint applications. Eight times faster than the industry standard Bell 202T modem, the FIashPoll DSP9600 is an excellent and affordable alternative. Developed with a high-speed Digital Signal Processor (DSP), the FIashPoll DSP9600 is the most technologically advanced product on the market today. Ideal for systems where fast response, short training time and low throughput delay is required, FIashPoll is optimized for fast receiver equalizer training and extremely low throughput delay. The total throughput delay is reduced by 33% comparing to a standard 9600 bps modem. FIashPoll operates at 9600 or 4800 bps over 2- or 4-wire leased or metallic lines and is temperature hardened for industrial, substation or traffic applications. When used with terminal polled devices, an unlimited number of drops is possible. The first model of this series is a standalone unit powered by 85 to 265VAC, 50-60Hz power with filtering and 3750V surge protection. An alternate 12/24/48VDC powered model will follow with other card/rack models later this quarter for the Telenetics Myriad 18 slot chassis, the GDI, Traffic 170 controller slot and a Motorola 16 slot chassis. All models offer line isolation and are temperature hardened to operate in -40 to 85 degrees Celsius. The Telenetics DSP9600 Flash Poll (DSP9600FP) modem is a 9600/4800 bps stand-alone modem designed for 4-wire full-duplex or 2-wire half-duplex operation over voice-band leased line. The DSP9600FP modem utilizes the latest digital-signal processing (DSP) technology to achieve high performance. The DSP9600FP modem also employs Telenetics' proprietary modulation and encoding scheme to achieve fast modem training time. These advantages make the DSP9600FP modem the most technologically advanced product on the market. It is especially suited for multi-point communication systems that require fast response time, short training time and low throughput delay. DSP design with automatic adaptive equalizer. Rear panel DTE interface, power supply, and 4-position terminal block interfaces leased-line. 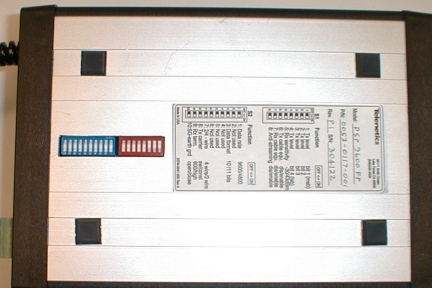 Leased line: 4-position screw terminal.